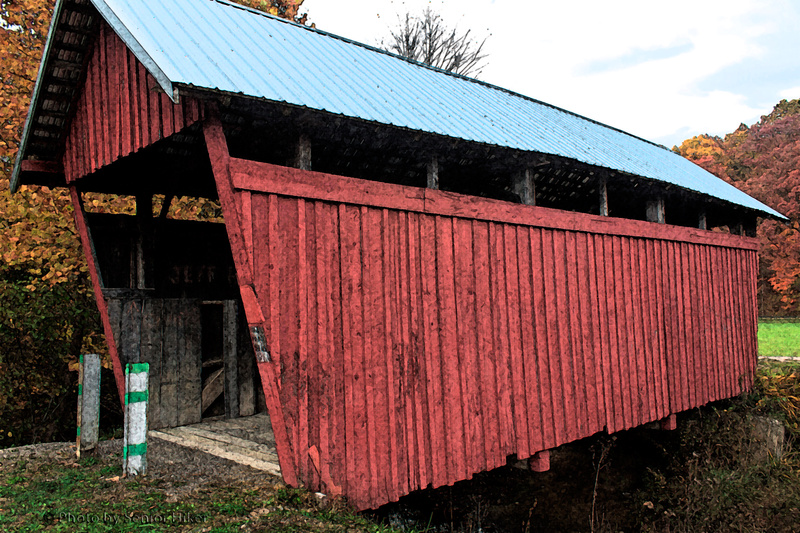 Several years ago, while driving through southern Ohio on our way home, Betsy and I happened across Cox Bridge, a restored covered bridge. The bridge was in use until 1992, and then restored in 2004. I thought using Photoshop to make the image more like a painting was fitting for this subject. Betsy and I went to Ohio’s Hocking Hills State Park in early March. One of the main attractions there is Old Man’s Cave, which we’ve visited before. This time the trail down into the gorge was covered with ice, which made it interesting to get down to the floor of the cave. 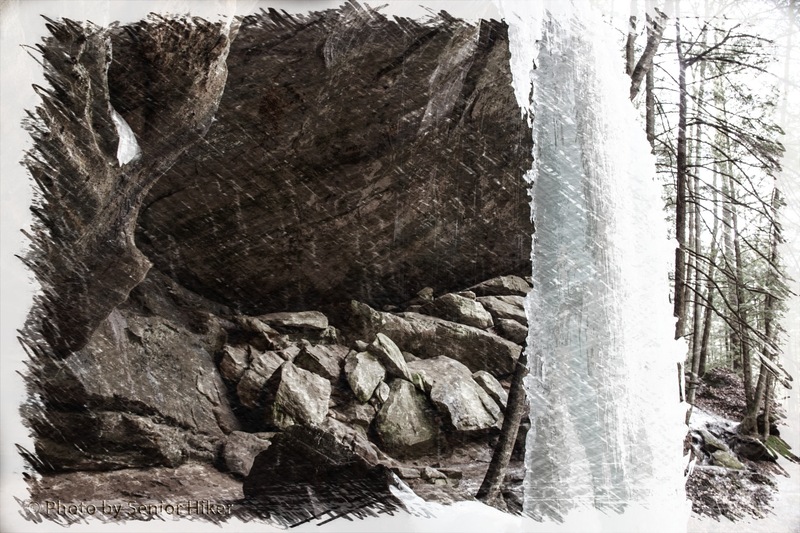 This sketch is based on a photo I took of a column of ice on the bottom of the gorge. 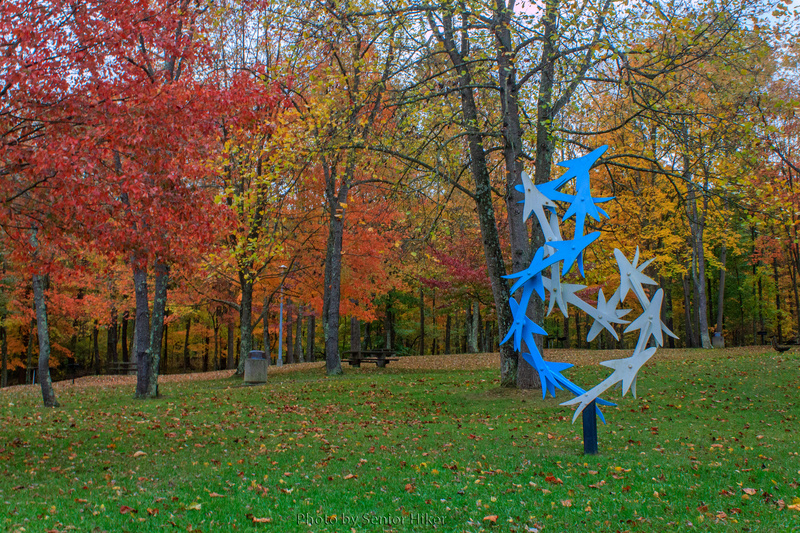 Last month Betsy and I drove up to Hocking Hills State Park in Ohio to meet with our friends Patti and Neal. 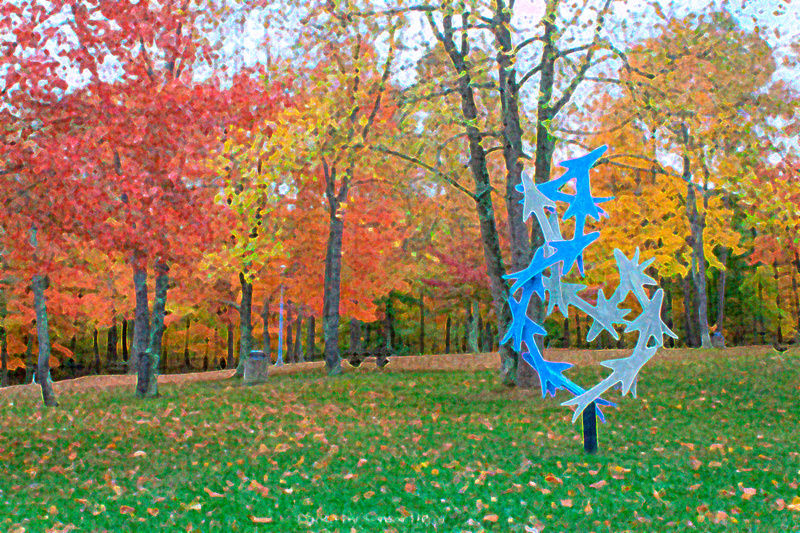 On the way up we stopped at a rest area in Ohio where we found this whimsical sculpture and some beautiful autumn color. The picture on which this drawing was based is shown below.